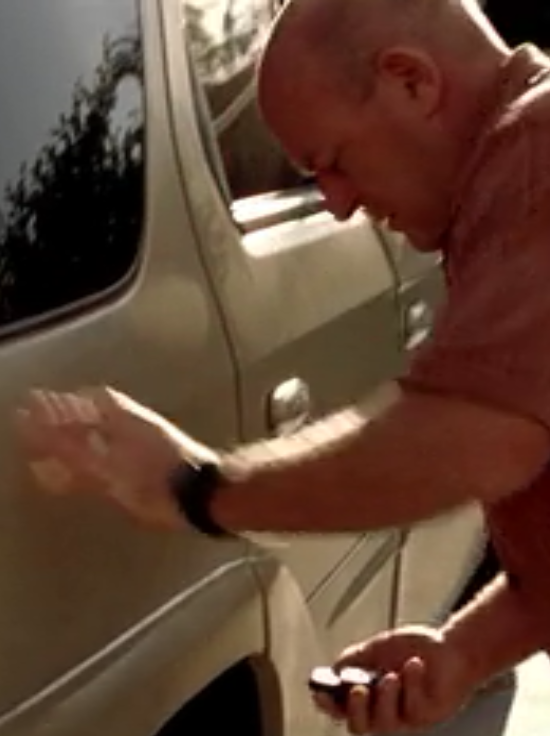 What did Hank find under Walt's car in S2E2 (Grilled) and why was it there? I missed it the first time I watched the series but on a second watching I just noticed after Walt goes missing (taken by Tuco), Hank goes to Walt's house with the APD detective to ask Skyler some questions. Just before he goes inside the house he feels around the car and grabs a magnetic device from underneath the right wheel arch. This never gets mentioned again. Who put the tracker there? It probably wasn't Tuco because he used Jesse to lead him to Walt. If it was Hank, why? Did he suspect Walt so early on? We know Hank likes putting GPS trackers on people he suspects but the way Hank feels around the car suggests he doesn't know where exactly it's placed, suggesting it wasn't him that put it there (unless he just forgot). Could it be that Hank had Walt sussed from the start and discovering Gale's book with the WW dedication just confirmed what he always suspected? In fact, I just watched it again. Hank pulls up, he walks up beside the driver's side of the car, tries both the driver's door and the one behind it to find that both are locked, then he quickly feels around the wheel arch on the rear wheel of the driver's side, then moves to the rear wheel arch on the passenger's side and finds and removes the object. The scene then cuts to Hank at the driver's side door, looking from inside the vehicle, as Hank is pulling it open towards him. He then has a quick rummage through the papers in the center console and sniffs the head rest on the passenger's side of the car (mistress with perfume?). 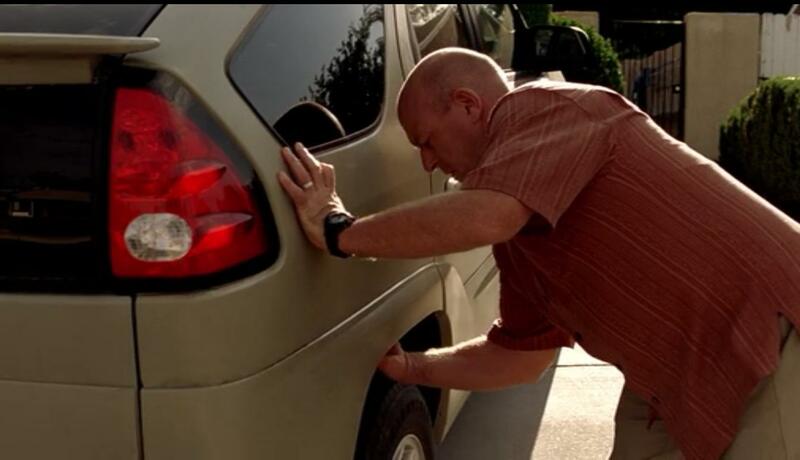 Skyler gets the thing in Box Cutter and then moves Walt's car and then puts it back. Suggesting it's a spare key. Why is the connection between Hank and Marie and the colour purple? What was Walt doing between leaving Gray Matter and becoming a school teacher? Why was Steve Gomez not promoted and did not move to El Paso? Why did Mike get out of the car after being shot? Why did the gang not check the trunk of Walter's car in the last episode? Why did Walt take a second job at the A1A Car Wash? Was there a romantic relationship between Gustavo Fring and his partner? How could you explain that Hank Schrader did know about altercation between Mike Ehrmantraut and Tuco?